I run 4 types of workshop; taster in gilding and calligraphy, oil based gilding, glass gilding and calligraphy. Details of the content of these workshops are below. In addition to this, I can bespoke workshops for you and your guests. 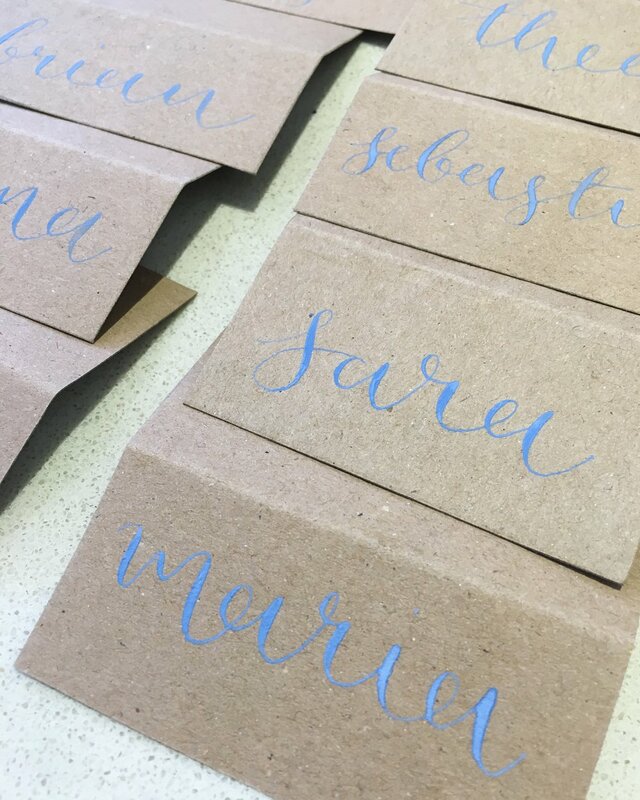 We find our workshops can be a great way to spend a special occasion such as a day-time activity for a hen-do, a birthday or retirement party, to name just a few. works to professional quality. This workshop is either 1 day or 2 half days. 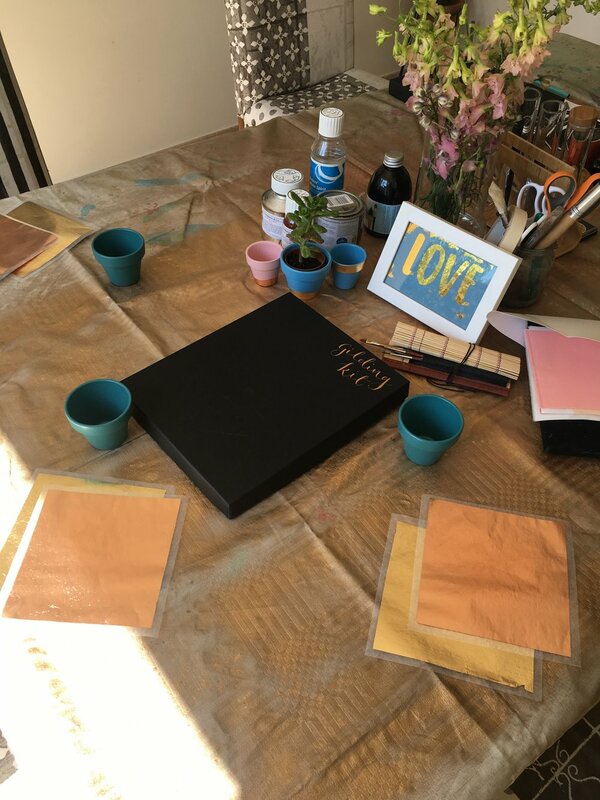 Participants will work on a piece of glass and learn how to prepare the glass for gilding, make water based gilding size, apply 23ct gold leaf using a gilders tip and applying their design. Perfect for hen do's, baby-showers or corporate/team building days. During this 3 hour session you will acquire the basic understanding a skills to develop your calligraphy and oil based gilding with confidence. You will on 2 projects, gilded plant pot to your design and a basic modern calligraphy alphabet. You will also receive a starter kit to go away with. Our aim is for you to go away with the confidence to practise and experiment this mediums in your style. This course teaches the basics of oil based gilding. With an introduction to tools and products it is designed to give individuals the confidence to apply this skill to home crafts. In this workshop participants will work on 2 different projects. Gilding a frame and also doing more detailed gilding and applying it to lettering on a tile. This is ideal for the occasional crafter. A 4 hour sessions with 2 breaks that allow ample time for gilding size to dry so that customers can get the best results. In this workshop participants will learn the basics of modern calligraphy. From how to hold the pen, brush strokes, nib pressure and be provided with guides. Ahead of the course they will be asked to bring a quote that they would like to work on and will go away with a small starter pack.